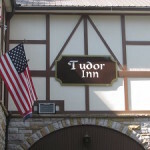 Opened April 16, 2013, the Tudor Inn, Gatlinburg, Tennessee, fulfills the promise of treating its guests like royalty. Stepping through the front door you are transported back in time and across the ocean to the sumptuous luxury of 15th century England. Henry VIII’s era is the inspiration but the decor which gives the inn its ornate character simply begs you to relax and enjoy. Summer is wrapping up, which means a whole host of exciting things are on the horizon for fall: the kids going back to school, Pumpkin Spice Lattes, pumpkin beers, and, of course, the Epcot International Food and Wine Festival at Disney World. If you’ve been living under a rock and have never heard of this wildly popular Disney event, it’s a food-lover’s siren song: visitors can sample cuisines and beverages from around the world, and attend culinary demonstrations and seminars. It’s held at Disney’s Epcot theme park every year; this year, the event takes place from September 14 through November 14. Between pours of two medium reds, the server shares that the vineyard grows grapes for other vintners, as well as for its own wines. The tasting closes with a sampling of Jaquez, a dark red, slightly sweet port, while the server carefully wraps purchased bottles of favorite wines and crystal glasses etched with the vineyard logo for the ride home. 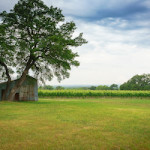 The San Francisco Bay Area is famous for its Napa Valley wineries and, more recently, for an influx of craft breweries in the East Bay. 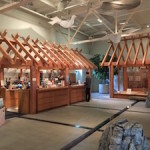 But if you want a one-of-a-kind experience off the beaten tasting track, skip the wine and beer and go sake sampling in Berkeley!